Showing you 12 Best Pubg Mobiles prices in Pakistan. PriceOye helps you find the lowest online prices of all mobile phones sold in Pakistan. iPhone XS Max is the most favorable device when it comes to playing PUBG Mobile. The vivid display and outstanding speakers make the experience worth spending for. iPhone XS Max being the best phone that Apple has to offer is equipped with the latest Apple A12 Bionic Chip and comes with 4GB of RAM. It has a 6.5 inches OLED screen with Dolby Vision and HDR 10 technology. The newly launched Galaxy S10 Plus is the perfect device when it comes to gaming. It has got 6.4 inches Dynamic AMOLED curved display with the groundbreaking resolution of 1440 x 3040 pixels and HDR 10+ technology. It is released with Exynos 9820/Qualcomm SDM855 depending on the region of purchase and 8GB/12GB of RAM variants. Moreover, 4100 mAh battery and stereo speakers make it the favorite phone for playing PUBG Mobile. P30 Pro is the latest offering by Huawei. It comes with HiSilicon Kirin 980 chipset and 6GB/8GB of RAM variants. Moreover, this beast houses 6.47 inches curved OLED display with the resolution of 1080 x 2340 pixels with HDR 10 technology. With specs like these, playing PUBG Mobile on Huawei P30 Pro will be none less than playing it on an iPhone that is why this phone managed to take third place in our list. Mate 20 Pro is the solid performer from Huawei and is ranked as the best phone of 2018 by many tech professionals. This phone is a beast when it comes to gaming and graphics intensive games like PUBG Mobile run perfectly. It comes with HiSilicon Kirin 980 chipset and 6GB/8GB of RAM variants. Moreover, this beast houses 6.39 inches curved OLED display with the resolution of 1440 x 3120 pixels with HDR 10 technology. Galaxy Note 9, the latest from Note series is a powerhouse when it comes to gaming experience. It has got 6.4 inches Super AMOLED screen with the resolution of 1440 x 2960 pixels and an enormous 4000 mAh battery. Moreover, the phone houses Exynos 9810/Qualcomm SDM845 depending on the region and 6GB/8GB RAM variants. Galaxy S10, the younger brother of S10 Plus is equally capable of playing PUBG Mobile. It has got same internals as of S10 Plus difference lie in screen size and battery where S10 comes with 6.1 inches panel and 3400 mAh battery. Huawei P30, the younger brother of P30 Pro, is equally capable of playing PUBG Mobile as it has got same internals as of Huawei P30 Pro. The difference lies in screen size and battery where P30 houses 6.1 inches OLED panel and 3650 mAh battery. Although most of the people don't prefer to play games on phones with smaller form factors the perfect hardware of iPhone XS makes this phone perfect for gaming. Internals wise this phone has got Apple A12 Bionic chip and 4GB of RAM and it manages to play games like PUBG Mobile with grace. Galaxy S9 Plus is a year-old phone now however it is still in our best gaming phones list because of its strong hardware. The device comes with 6.2 inches Super AMOLED panel with 3500 mAh battery and 6GB RAM. The phone houses Exynos 9810/Qualcomm SDM845 depending on the region. The phone is able to run lag free PUBG Mobile for hours. Google came with Pixel 3 XL in 2018 with all the trendy specs. This phone, being flagship from Google is capable of handling heavy games with ease and PUBG Mobile is no exception. 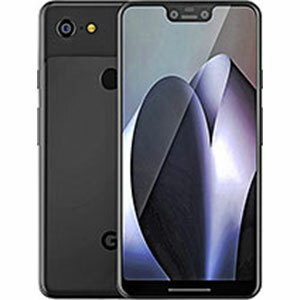 Pixel 3 XL is equipped with 6.3 inches P-OLED panel with a resolution of 1440 x 2960 pixels and Qualcomm SDM845 chipset. The phone houses 4GB of RAM and 3430 mAh battery which let you play PUBG Mobile for longer durations without any hassle. 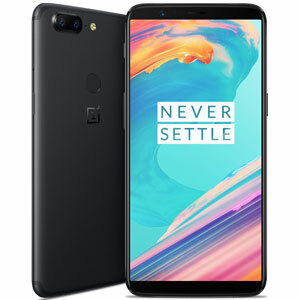 OnePlus 6T turned many heads with its launch as it is the best phone from OnePlus which you can get from the market right now. The phone comes with 6.41 inches Optic AMOLED panel with a resolution of 1080 x 2340 pixels. It houses Qualcomm SDM845 chipset with 6GB/8GB RAM variants and 3700 mAh battery which will enable you to play heavy games like PUBG Mobile with ease. 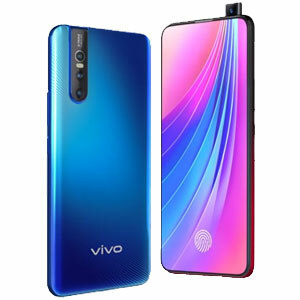 Vivo V15 Pro, the best-selling phone from Vivo is the mixture of strong specs and awesome design. This phone comes with 6.39 inches Super AMOLED panel and Qualcomm SDM675 chipset. Vivo V15 Pro houses 6GB/8GB of Ram depending on different storage variants and 3700 mAh battery which is a decent sized cell. This phone is a good pick for playing heavy games like PUBG Mobile. People in Pakistan spend most part of their day on mobile phones like people all around the globe. With radical technological shifts on mobile phones, this portable device is no longer used for just communication purposes. People tend to use their phones for entertainment purposes and mobile phone gaming is not a new concept. Not to mention not everyone can afford gaming laptops or computers. Sales graphs of playing consoles like play stations are not showing any positives in Pakistan as well. People tend to use their phones for literally everything. Wristwatches have been replaced by smartwatches, cameras are replaced by phones, almost every desktop app is being offered on phones and is getting more downloads over there. Players Unknown Battle Ground (PUBG) is no different. Starting with the computers, they soon realize they have to develop a fully functional render with the same graphics and even more working options for mobile phones as well and they came with PUBG Mobile in March 2018. This game has experienced a crazy hike and brake all the records with daily active users recorded as high as 30 Million. If we talk about the total number of downloads according to Sensor Tower Data Digest: Total mobile game downloads have reached up to 2.4 billion on iOS and 7.23 billion on Android in just one year. Which phones do you need in Pakistan to be able to play PUBG? Or, which are the best PUBG mobiles in Pakistan? The answer to this question is quite simple. You do not need any special devices to be able to play this game. If you have as low as 2GB of RAM in your phone and android versions greater than Android 5.0, you are good to go. This wide reach has enabled this game to surpass Fortnite Battle Royale in a glimpse. As Fortnite is currently an invite-only release and is specifically available for iPhones and was exclusively released for Samsung Galaxy Note 9. However, like every other action you perform on your phone, gaming experience also differ from mobile to mobile. People who have owned flagships tend to enjoy PUBG more just because they are able to play PUBG buttery smooth on high graphics and also get to enjoy the amazing display resolutions. PUBG do give plenty of graphics options to match well with your phone's ability. However, playing on Ultra HD graphics on a mid-range device may result into frame rates and game lagging which you cannot afford in case of PUBG as one frame drop or a single lag may get you killed by the enemy. We have compiled a list of the best PUBG mobiles in Pakistan for all PUBG lovers just to let you people know that it might not be the only factor that the winners have looted the mighty airdrops, they might have been using one of these top PUBG phones in Pakistan. When we talk about phones, we have to talk about prices as well and as stated above, PUBG mobile price in Pakistan do vary like every other part of the World. Cheap phones are getting better these days as they are offering so much at an exceptionally low price. Having said that this might not be the case that the best PUBG mobile in Pakistan has to be the most expensive phone in Pakistan as well. Top PUBG mobiles in Pakistan may include many mid-range devices which will cause a lot less pressure on your pocket. Here's a list of best PUBG mobiles in Pakistan. Time to see whether your phone managed to take a spot in top PUBG phones list or not.